This past weekend was a full, but very enjoyable one. 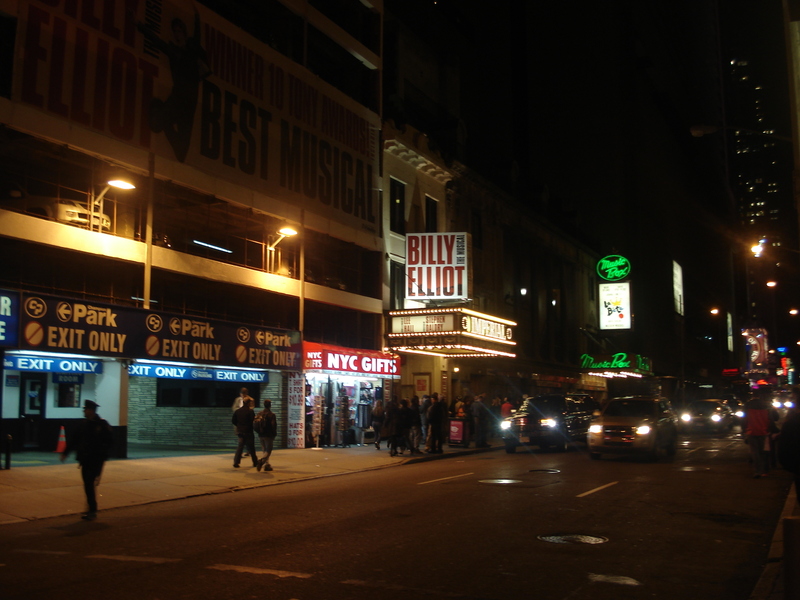 On Friday night, our friend Rick babysat the kids while we went to see Billy Elliot on Broadway. We enjoyed our first Broadway experience. The “show” aspect at least — Ben will have more to say about the story later. After the show we got ourselves some Starbucks coffee and felt like real New Yorkers drinking our lattés in disposable cups on the subway on the way home. :-) Allow me to highly recommend the seasonal Pumpkin Spice Latté. It is scrumdiddlyumptious. 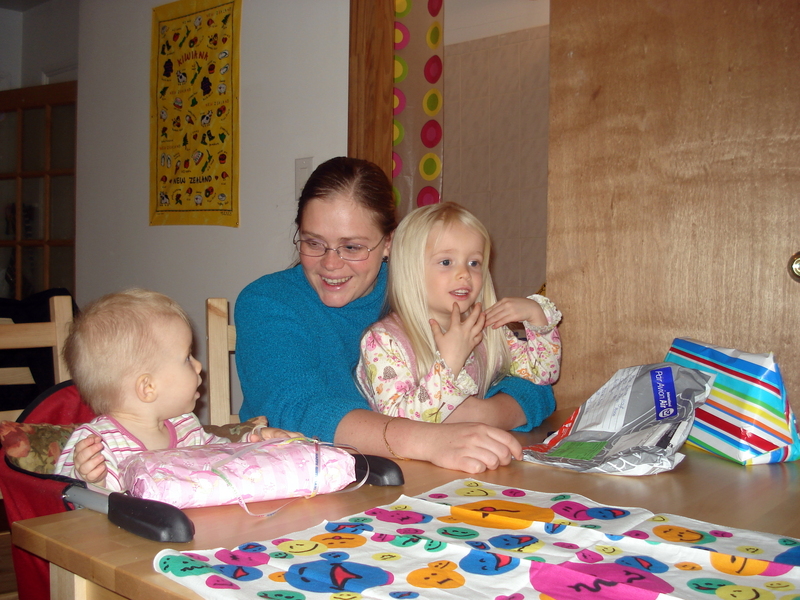 The study was very profitable and certainly applicable — it dealt with child discipline. It was a good reminder of the importance of consistency, something I’m not the best at. It has also been a real blessing to get to know the women at church. They’re a neat (and varied!) bunch of women with a common love for God and His Word. I know I’ve said this before, but I really love the variety of backgrounds people at our church come from. Ben and I are two of a very small group of people who grew up in Christian households and who didn’t come to Christ later in life. And there are all sorts of ethnicities and languages too. It really is a testimony of the gospel that a bunch of people from such different cultures and backgrounds can enjoy hanging out together! 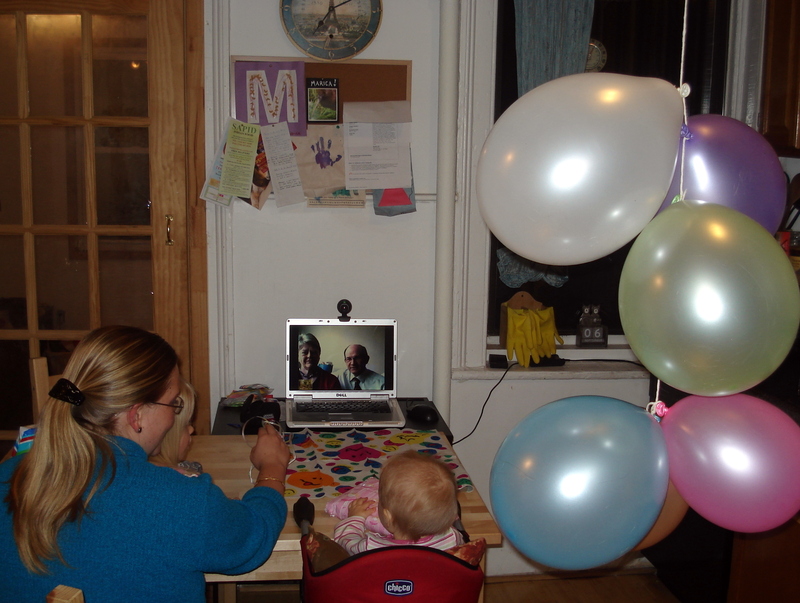 Saturday evening we celebrated Esther’s birhday a day early with a skype party with Oupa and Ouma Voges. Franci, when I was in my first two years of uni, we lived in Ossining and my Dad taught math at and I studied at Kings College in Westchester. It is a beautiful county — but you need plenty of money to live there! Wow, King’s College has an interesting history. Some young people who said hullo at our church are going there, and the college has now been relocated (in 1997) to the Empire State Building. Imagine going to uni half way up what’s probably the most well-known sky-scraper in the world! I don’t know where it’s is showing in NYC, but Marvin Olasky of WORLD magazine highly recommends The Screwtape Letters dramatized by Max McLean. Olasky also recommends Freud’s Last Session (showing near Central Park) for “lovers of C.S. Lewis and intellectual jousting.” Fictional meeting between the CSL and Freud. 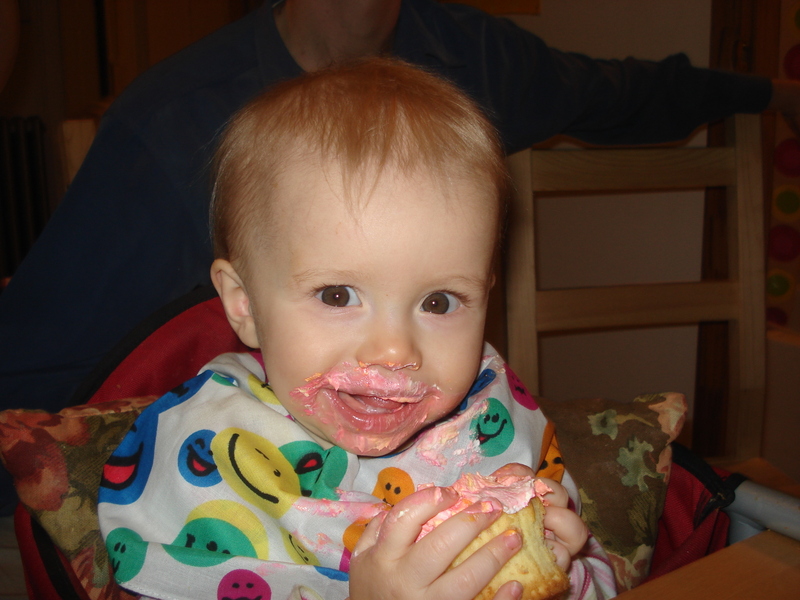 Congratulations on Esther’s 1st birthday. Wow, it has gone so fast.